Why Dog Pad Doggy Day Care? I (Tory) would like to thank the Holmes's for being great Dog owners, great customers and great friends. They have lost both of their dogs recently. 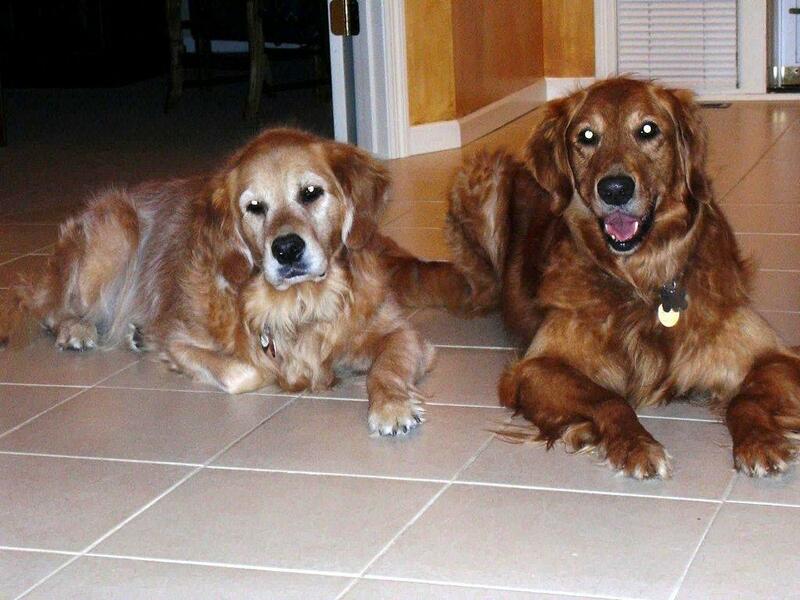 They are like a second family to me and I know their hearts are empty without the goldens and we wish them the best in their pursuit for new canine companions. "He's exhausted after all the fun yesterday". Archie was lounging after a hard days play at his favorite place...Dog Pad! has been coming to Dog Pad Daycare since he was 6 weeks old. He was Dog Pad's first daycare client two years ago!! "Riley watches for Tory in the morning-roaming from the patio window to the front windows because he's never sure which way she'll come. He loves her and she has been so kind and good to him. He is such a good dog because she has taken time with him as a puppy." "I still can't believe he gets picked-up and dropped off everyday. What a WONDERFUL service." "Gunner has come home so tired that he was falling asleep sitting up in the car! Makes for a wonderful evening." 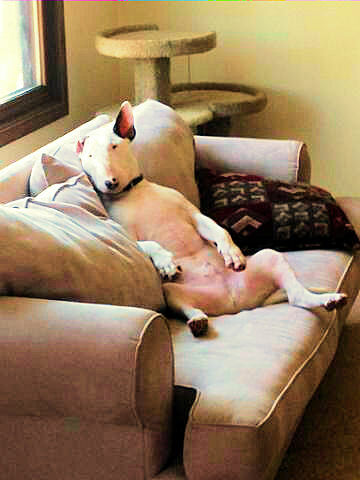 "He's so worn out I could barely get him to go for a walk this morning! Thanks again for taking good care of him! " "Fidget has been going to Dog Pad for 10 months and I think we are fortunate to have found the Dog Pad. Because when our Fidget dog became ill, Tory informed us that she wasn't acting as perky and playful. After two days at the vet we found she had eaten an acorn and wasn't passing it. Thanks to Tory noticing her mood change all is well now. Fidget waits in our bed for Tory's truck to pull up and starts barking and jumping when Tory gets in the driveway and away she goes." "Thanks for bringing Meadow home it was nice not to not have to go and get her after a long day of traveling. Anyways I thought I'd send you this photo of what 5 days of "Dog Pad" time does to Meadow. She hasn't moved since we got home.
" My husband and I have been bringing our dog to Dog Pad for probably a little over a year now. Personally I think Dog Pad has been the best place! 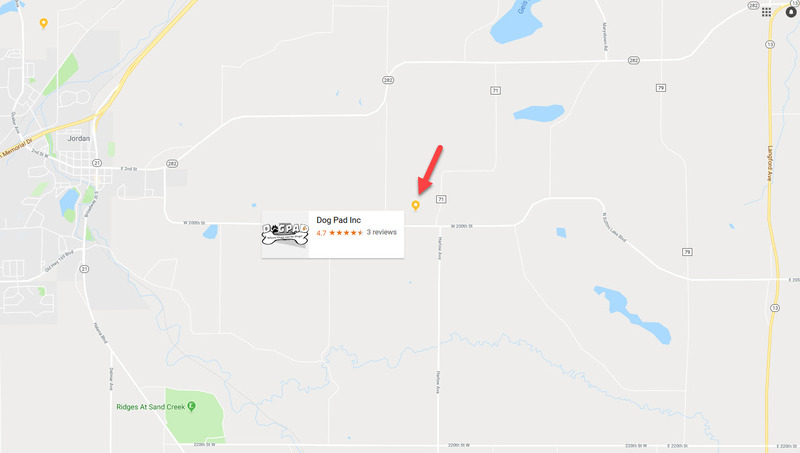 Before coming to Dog Pad we had been sending our dog to another doggie daycare place and I found out that my dog would end up in a kennel all day with no exercise and no interaction with other dogs. That is not what we were looking for in a doggie daycare place. Since coming to Dog Pad not only has our yellow lab received plenty of exercise and interaction with other dogs but he just loves going! He anticipates the day that the shuttle bus will come and pick him up. And when he comes home he is absolutely pleasantly exhausted! Both my husband and I put our trust and our most prized possession in Dog Pads hands... we would recommend them to everyone!" "Gulliver loves Tory. He's figured out how to look out the living room window to watch for her as this is the best view of the driveway. 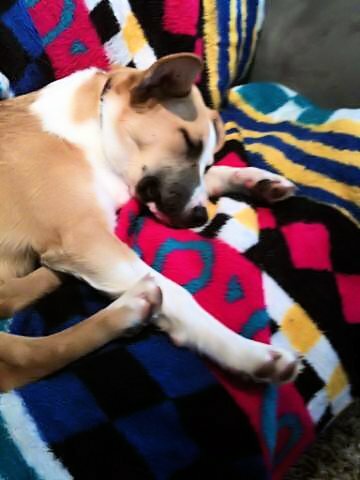 Gulliver is a rescued dog and had an uncharted course, Dog Pad has helped him adjust and become bonded, tired and content with the family." 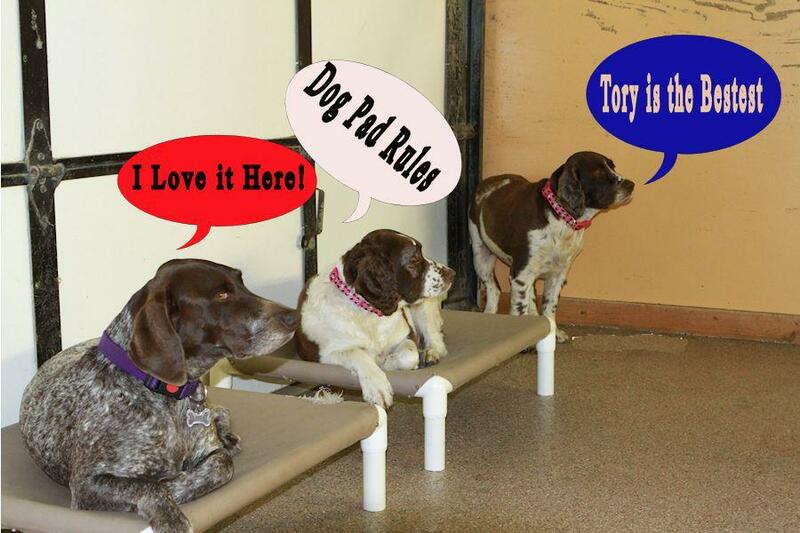 "It is obvious that Tory loves and enjoys dogs and our dogs love her. I used to be reluctant to board our dogs at a kennel but with Dog Pad the dogs are on vacation also." 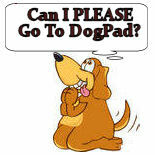 "Dog Pad is the best invention since sliced bread. Our dog looks forward to daycare and comes home happy and wore out. 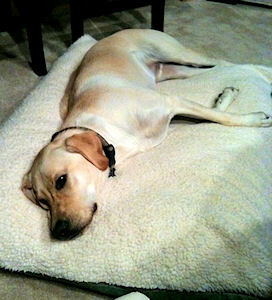 Dog Pad is especially a savior in the winter when it is hard to exercise Conner enough. The pick up and delivery is the best part. This gives my wife and I one day during the week that we don't have to worry about taking care of Conner. Thanks Dog Pad!" I thought you would get a kick out seeing the effect Doggy daycare has on my spaz of a lab. This picture was taken last night after he was dropped off. Looks like he had a great time. Thanks for taking care of my pooch when I can’t. You’re a lifesaver!